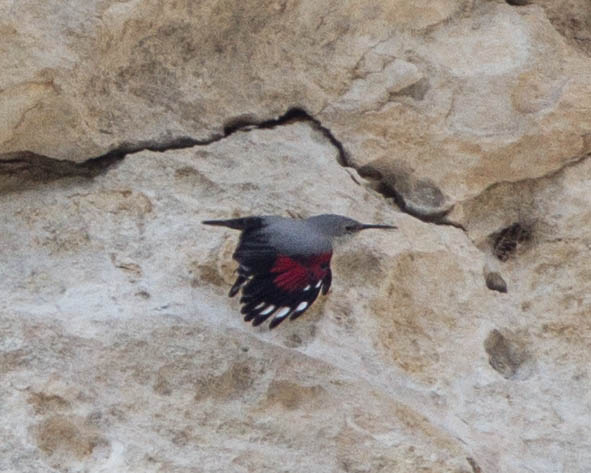 The Wallcreeper is a beautiful bird with red wings. 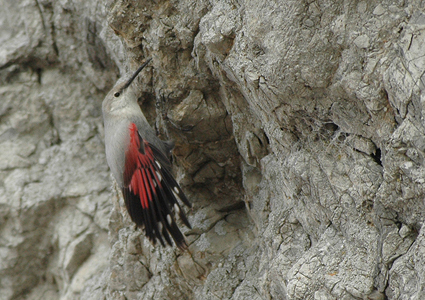 It is a very rare vagrant in Western Europe, because as the name suggests it is a real mountain bird. It likes to stay in rocky areas above 1000 meters altitude.